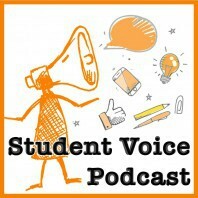 This episode features Andrew Brennan, the National Field Director for Student Voice. Andrew Brennen is a sophomore in the Robertson Scholars Leadership Program at the University of North Carolina at Chapel Hill where he is majoring in Strategic Communication and Public Policy. Andrew co-founded the Prichard Committee Student Voice Team in 2012 as a junior in high school. In this capacity, Andrew helped launch and lead a number of projects to amplify and elevate students as partners in improving Kentucky schools. These include a successful statewide, student-led campaign to restore over 15 million for low-income student scholarships; the drafting and promotion of HB 236 to add students to superintendent screening committees; an investigation into the tripwires that prevent high school students from making smooth transitions to college; and a “student voice audit” of a local junior high school to engage students in improving school climate. In January 2016, Andrew took on a new role as the National Field Director for Student Voice, a national organization with the goal of bridging the gap between students and the education community. As part of his role in Student Voice, Andrew lead a nation-wide tour with the goal of engaging thousands of students across the country through a platform called the “Student Bill of Rights”. Andrew considers himself a storyteller and believes in the power of amplifying and elevating the student experience.